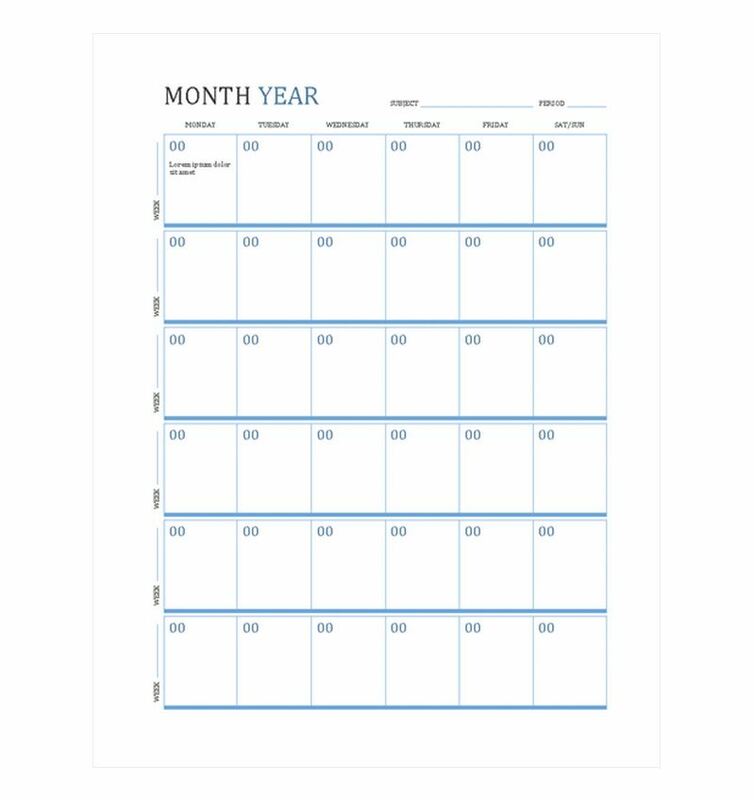 The great thing about a lesson planner template is that you do not have to go out and buy a lesson planner. The advantage of this is that then you can save your money for more important things. With this lesson planner template, you will be able to plan your lessons more easily, and you can download it quickly and easily. A lesson formatting plan helps to make it easier to organize. For a new teacher it is difficult sometimes to plan lessons; however, sometimes it is equally difficult for the more experienced teachers. A lesson plans helps to organize what you will teach, and it can also help to keep you on track. After you have downloaded the template, next you will have to customize it for your own needs. The great thing about this lesson planner is that it can be fitted to a variety of sizes. Pick the size that will work the best for you. This lesson planner works for a 6-week schedule, so figure out what you plan to add to it. Fill in the blanks with your lesson plans. If you will not be teaching it on a certain day, then leave that day blank. Try not to make your lesson plans too long for each day. It is better to simplify. Make them detailed enough that substitute teacher can pick up where you left off. Check with the principal’s guidelines. New teachers usually have to provide the principal with guideline, so they can assist them with creating a proper plan. In general, start working on your next week’s plans no later than Thursday. This allows you to determine what was completed and what was not completed. Always keep a copy of your lesson plan in a safe place. This ensures that if you ever lose your lesson plan, you will always have a backup to replace it and quickly get back on track. These are some things to keep in mind when it comes to a lesson planner template. They are one of the teacher’s best tools because they help a teacher to keep themselves on track with the teaching. It also ensures organization. A teacher with a lesson planner can keep themselves and the classroom on track.